Twitter Ads were available mostly to English-speaking users, leaving outside a large part of the globe – and of the revenue pie. 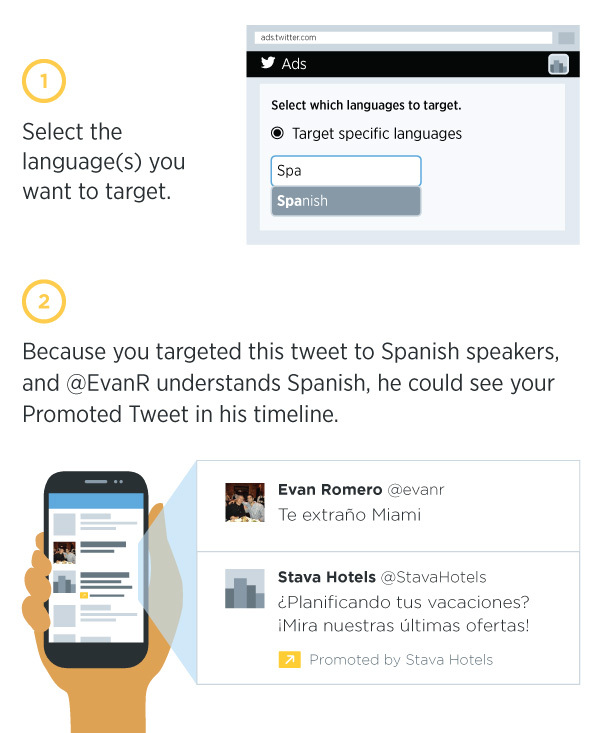 Today, Twitter announced that it has incorporated language targeting for promoted tweets and accounts, that will be available in 20 different languages. According to the announcement, marketers and advertisers will be able to promote their tweets and their accounts to different languages than those commonly used in their accounts. In order to achieve that, Twitter states that it uses different signals to determine a user’s language, including the language selected in a user’s profile settings and the languages that correspond to a user’s activity on Twitter. Along with this new update, advertisers will have access to language-specific analytics, in order to track the performance of their campaigns. Language targeting will be available along with the other targeting options available in the Twitter ad suite, such as, gender, geolocation, keyword and interest targeting, that will allow better segmentation of the audience. Although still very much behind Facebook, Twitter is trying to increase its share in the advertising pie. Its revenue model is not as robust as it could be and user engagement seems to have stalled. In this context, offering better advertising solutions is basically a one way road for the social network. Time will tell if brands will turn to Twitter instead of Facebook – which is asking more and more money to increase its ever-dropping reach. This new feature will be available globally through Ads API. Would you use Twitter Ads? Do you find this new feature useful?